To give yourself the best chance of obtaining NHS Continuing Healthcare Funding, we recommend you follow our 14 top Tips and adopt them as your New Year’s resolution. 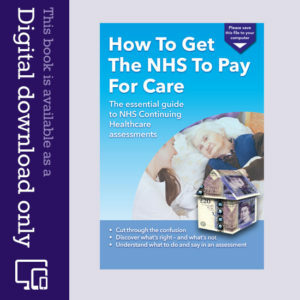 Ensure you are fully familiar with the criteria for seeking NHS Continuing Healthcare Funding – which is free at the point you need care; as opposed to Social Services Funding (provided by the Local Authority) which is means tested. If your relative has a ‘primary health need’ they may be entitled to free fully funded care for all their health needs (including accommodation). So, understanding the difference between NHS Continuing Healthcare and social care could potentially save your relative many thousands of pounds in unnecessarily paid care home fees. The National Framework for NHS Continuing Healthcare and NHS-Funded Nursing Care is the NHS ‘bible’ in this arena. You must familiarise yourself with this guidance, as it contains the processes that the Clinical Commissioning Groups are supposed to be working to and adhere to. You must be equally familiar with the National Framework in order to give your relative the best chance of success. The NHS National Framework was recently updated in October 2018. If you missed the update, read our helpful blog: What’s new in the 2018 NHS National Framework for CHC? Are you getting an interim care package? Read our blog, BBC Drama, “Care”, shines A Spotlight On NHS Continuing Healthcare. Even if you didn’t actually see the BBC Drama screened on Sunday 9th December 2018 and cannot get to watch it on iPlayer, then our blog takes you through it, as if it is a live case study, and comments around it. Tip No 4: Remember NHS funding can apply wherever your relative lives, so don’t be fobbed off! Don’t forget, the setting where your relative lives is irrelevant in seeking eligibility for fully funded NHS Continuing Healthcare. Such funding can apply, whether your relative resides in their own home, a care or nursing home. Above all, it is the health needs which are the important factor. It is not the place where the care is provided, but the nature of the care that matters. Tip No 5: Get specialist advocacy help if you need it – don’t fight this battle alone! Don’t worry if you find this whole funding process daunting. You are not alone. 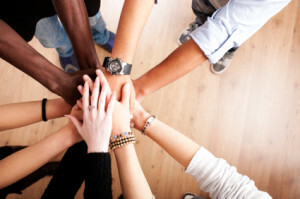 You are entitled to choose a family member, friend or other person to accompany you to any assessment or appeal. It can be useful to have a second pair of eyes and ears in the background listening in and taking notes for you. Care To Be Different provides plenty of help and Resolutions on our website should you wish to attempt the advocacy yourself. However, given the high stakes if NHS Continuing Healthcare funding is not granted, it is quite common for families to engage the services of a professional advocate who is familiar with this arena, and how the ‘system’ works. You can access individual help with your case by visiting our one-to-one help page. A good advocate can diffuse any emotional anxiety you may feel about the whole NHS CHC funding process, and the personal pressure you may feel to secure a successful outcome for your relative. Whilst success cannot be guaranteed, having the services of a specialist in this field can only improve your chances of success. So remember, help is available and you don’t have to do this alone. For more information, read our blog: Can The MDT Panel Refuse To Proceed If I Have An Advocate? It’s essential to keep an accurate record of what happens at each stage of an assessment or appeal – including before and after. Although the procedures are set out in the National Framework for NHS Continuing Healthcare, sometimes the process does not go to plan and any abuse can give you grounds for an Appeal. Therefore, your records may become useful evidence in due course if the outcome decision goes against you. Tip No 7: Quote Coughlan! Familiarise yourself with the Coughlan test. The Court of Appeal stated in the Coughlan case that, “where the primary need is a health need, then the responsibility is that of the NHS, even when the individual has been placed in a home by a Local Authority.” Therefore, if your relative’s healthcare needs are over and above the scope provided by the Local Authority (Social Services), then they may be eligible for NHS Continuing Healthcare Funding – which is free! Read pages 151 to 153 of the National Framework for NHS Continuing Healthcare and NHS-Funded Nursing Care (Revised 2018) for more information on Coughlan. So, if your relative has a ‘primary healthcare need’ (see Resolution 2 above), the NHS should provide and pay for 100% of their care, including any residential home fees. Hi jane, Remind the assessors that “a well-managed need is still a need”, it’s one of the guiding principles. If your Mum didn’t receive the 24 / 7, high-quality care she does she’d have fallen far more often and spent far more time in an acute hospital (at best) than she now does. If you can, persuade your Mum’s consultant to weigh in and write a formal letter (copy to you) to the CHC assessor and CCG confirming that it’s only because she receives this high quality PROFESSIONAL NURSING care 24 / 7 that her primary healthcare needs are being met. 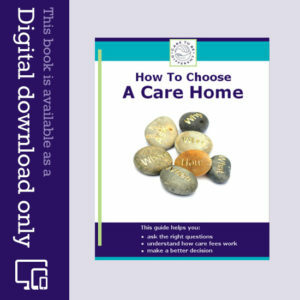 Please draft the Decision Tool Support document yourself and ask for a meeting with the Consultant to explain the consequences for his / her patient’s nursing care if her health needs are officially downgraded, CHC is withheld and she’s in the future moved to cheaper “care” home accommodation (with almost no or inadequate nursing care and monitoring from professionally qualified nurses). Consultants usually have some clout; and their clinical views about their patients’ care should be respected even by CHC assessors! My mother has been receiving NHS, CHC funding for two years during this time we have had two meeting and the care continued to be granted. At our third meeting it has been suggested she is no longer eligible for the funding, but could still be in receipt of nursing payment of £150 per week. We are now waiting for a date for a new full review. My mother’s health or well being has not improved, if anything she is worse, but the nursing home recommended by the NHS and her Parkinson’s consultant have managed her with 24 hour care, preventing many fall, coping her waking dreams and anxiety, now this good care appears to being punished for it success and infers she no longer requires 24 hour care. How can this be right? If care was granted once how can it be removed if 24 hour care is still required? Jane I fully agree. The whole analysis is wrong and heavily weighted on the part of the NHS who frankly do not have the money to spend. My Advocates have said the NHS have the final say (and of course we know they don’t adhere to their own guidelines which in itself is unfair but unchallengeable), and that the NHS have narrowed the goalposts and keep doing so. The fact that things are not fair or reasonable is of no interest to the NHS and no one, seemingly, has the power to challenge them and make them review their practices. I feel sorry for you and your Mum. Of course she is not getting better and of course as a result the funding should not be withdrawn, but this is just another example of how the system is so very wrong. I can only say, having had 2.5 years of all this I never ever want to be in this situation myself and will do anything and everything to avoid it. Dad’s went to appeal having been rejected by local appeal 18 months on. We waited 14 months for NHS England. They downgraded his “High” in 7 of the 11 categories to “Moderate”. it stinks. NHS England could not get local CCG to submit their documents which is why the Appeal took so long. Dad was 96, deaf, blind, had dementia, health issues which he did not understand and refused drugs not understanding why they were being administered, but was summarily let down by the Health Service and all its branches, which he had served for 40 years as a manager. It stinks. They do not have to give a valid reason and they do not have to follow their guidelines for criteria. I wasted nearly 3 years and £16,000. Don’t get sucked into this lengthy, expensive and disastrous scheme. Despite being told by my Advocate, seemingly expert at these things who assured me my father had an excellent case, it went to NHS England after 2.5 years and numerous rejections locally, and was rejected again. My father was blind, deaf, had dementia and was unable to make decisions about his wellbeing or feed himself. He more than met the criteria of NHS guidelines yet was still rejected. I have suffered a £15,000+ bank balance loss on something I was told was a very good case, had 2.5 years of angst and battle, to no avail. NHS does not follow its guidelines, makes it up as it goes along, and Advocates are the only people who win. Avoid at all costs. Despite a “strong” case in the words of my legal representatives, and a case which lasted over 2.5 years and cost me over £15000, the case went to NHS England appeal and despite my father meeting the NHS CCG criteria, it was rejected today. Don’t pursue this. NHS do not follow their own criteria for assessment and they reject the claim which meets their criteria. . I paid my Advocates a tremendous amount of money based on what they said was a case which had an excellent chance of succeeding. It has not been worth the angst, money or injustice. Injustice can occur, does occur, and destroys bank balances and people. The NHS is biased against paying and each section of the NHS, GPs, care homes, dieticians, matrons, etc. skew the evidence with the intention of rejection. It stinks. My husband passed the checklist stage but was still turned down by the CCG. I am appealing but there does not seem to be any structure to the appeal such as a set out timescale and plan. I sent my official appeal form back on 18 December 2018 within the 28 statutory days and I know that they received it because they returned everything to me including my original form with a complement slip. I had asked for the certified Power of Attorney form to be returned as I will probably have to use it again. Having heard what has happened to R Willis who has gone to such lengths I can’t help but predict my outcome. I have been speaking to my Advocates this morning and without giving the family or Advocate either notice they were downgrading categories, or the chance to respond to this intention and counter it, the NHS England panel summarily downgraded some categories. From the outset there have been procedural issues in that there were deadlines not met and guidelines not followed and documents not “available”. These non-procedural issues were recorded in relation to the local CCG panel, the DST Panel Hearing, the IRP Appeals process and latterly the NHS England Appeals panel. There is evidence that throughout the process those passing judgement have adopted subjective approach and ignored the guidelines, rewriting their findings to meet the guidelines rather than reflecting the documented evidence. The criteria for judgement is there to form an objective set of criteria and it is frustrating this has not been applied. Advocates say this is happening more and more and it will depend on the Chair of the panel on the day, rather than the evidence. My father’s GP declared (they said) that he knew on day two she had been to see him on day one and that he was taking tablets. On this they downgraded the “Communication” criteria of a man of 96 with dementia who told me that the Dr had been to see him and “she and a carer had slammed him onto the floor”. However GP’s input was taken as gospel BECAUSE IT SUITED THE CASE THE NHS HAD DECIDED TO PUT FORWARD REGARDLESS OF THE EVIDENCE. The whole thing is diabolical. The sooner this process becomes covered by the Law and thus TRUTH the better – but I doubt that will ever occur. Think how much is being saved by these continued denials and re-writing facts. NHS England findings were unanimously of the view, in every area, that Social Services should have provided social needs care, not NHS health care. No surprise there that Dad was self-funding and SS would NEVER HAVE HAD TO FOOT THE BILL because he had savings!! A set up? of course. Unjust – OF COURSE. My father, who could not see and had dementia and made outlandish claims, had periods of intense aggression when he would lash out verbally and physically and indulge in anti-social behaviour. Yet “Intensity” was downgraded. “Evidence” for this was that he could remember names! Incidentally it took me to pay for a private Capacity test under the Mental Health Act to establish Dad had dementia. Up until 4 years ago everyone said he had capacity BECAUSE IT SUITED THEIR SOCIAL NEEDS NOT HEALTH NEEDS CAUSE. Call me cynical, but I can see through each argument and statement the authorities made and they knew I could. Dad was so unaware of his need for food he, at 6’1″, went from 11 stones to 7 because he did not know he had to eat, and when his BMI index dropped to 15 he was put in the care of a dietician. Still, NHS England panel knew better than anyone, discarded the evidence, and downgraded him to having a social need only. He was MALNOURISHED, but not a health need. Down goes that grading based on subjectivity because an entry on the care record of the Home was that he had chosen to have a pudding! He did not eat it but he was OK to choose it so extra grist to the downgrading of the Communication domain. The fact he “responded occasionally” to staff’s prompts to eat and drink – OCCASSIONALLY – lowered the “Intensity” domain score because not eating was a social need with apparently no medical or healthcare links. And so it went on and on and on, every every domain. Failure to consider the full, and multitudinous facts, and to “rewrite” the “evidence” to suit the intended decision. Where from here? Perhaps to the Ombudsman. My Advocates have 2 or 3 cases presently with the Ombudsman. In summary : the outcomes are skewed to unfair and biased and the procedures are not followed and in fact time lines and procedures flouted, their own processes are flouted but never challenged or punished. The outcome is heavily weighted against the family. I wish we had had justice, but justice is not a word synonymous with this process. I do not know of anyone who has had a positive outcome to their claim. I have a friend whose Mum died 4 years ago and her case has now entered its 6th year. The fact the NHS can apply its guidelines differently for assessment is appalling. The comment about the time frame for Appeals is like a piece of elastic is accurate. Our Appeal took from November 2017 to January 2019 with NHS England unable to force CCG to submit their records. When they finally did in October 2018 they “withheld” some sections of it and we had to apply for its release. It took 3 months!!! and comprised 2 A4 pieces of paper! At the NHS England Appeal in January the CCG did not even have a copy of their Guidelines nor up-to-date information from Dad’s Care Home. My Advocates had and this did not highlight CCG case in any great light showing them to not have evidence with them and calling into question the advocacy of their decision-making process, but still the scores were downgraded and the appeal rejected. I cannot spend another £6k + on appealing the second appeal! Each time I see the news and hear the problems with NHS funding I know that these cases will never be likely to succeed as they simply don’t have the money. I’m so sorry about the sheer awfulness of your experience with CHC. The odds are stacked against us. I hate injustice (whether I’m the victim or anyone else is) so I’ll carry on fighting. I’m using up my own time on this, realising that if I got informed help we very quickly couldn’t afford it. Anybody else finding they’re coming under pressure to make a “retrospective” application for CHC funding when the root cause of the delay (several years) is the CHC team’s failure to organise a full assessment after the CHC claimant successfully “passed” the CHC Checklist stage? I suspect an attempt to diddle us. I’ve documentary evidence (email from nurse assessor) to show my relative passed the Checklist and the papers were passed on to the CHC team for action. I returned my Appeal form to the CCG on 18 December 2018 and met the 28 day deadline. I have had no response since apart from having my 3 certified copies of ID and the original form returned to me. I have emailed the CCG during January and still received no response. I wonder if anyone else has had to provide ID in spite of being present at the assessment. The Dorset CCG has been trying this for more than two years. It also rejected its own MDT report which recommended NHS funding written three times in plain English.